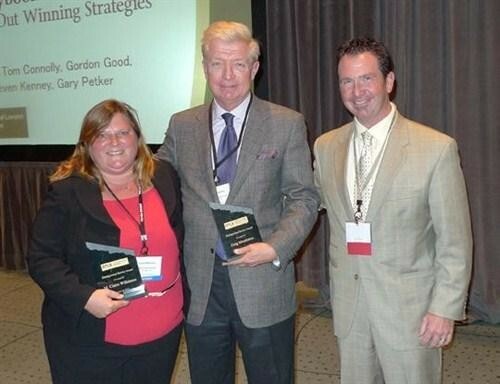 The Ontario Trial Lawyers Association (OTLA) recognized several members for their contributions during the association’s 2012 Fall Conference in Toronto, held Oct. 24-25 at the Metro Toronto Convention Centre. OTLA members were recognized with the Distinguished Service Award for longstanding dedicated service to furthering the goals and ideals of OTLA. Claire Wilkinson of Martin & Hillyer Associates and Greg Monforton(above) were presented their awards by Andrew Murray.